Comments: Lots of football actions hits you hard as this comic starts. Beautiful art illustrates these gridiron warriors. Now the story follows T and he is a football player who is not doing that well monetarily. T is a nice guy just that things have not been going his way. Strike that he is a great guy. The only problem is his whole life is falling apart around him. 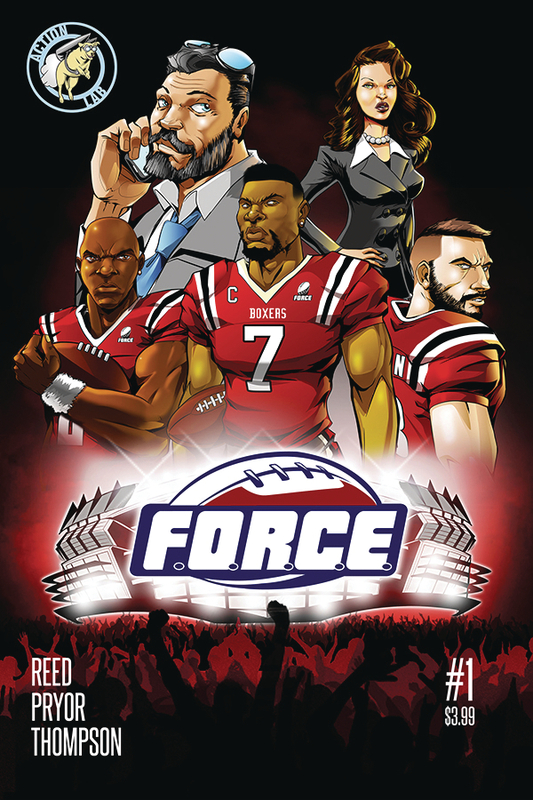 “Force Illustrated” Force Illustrated Cover by Adrian Johnson, Force Illustrated Inside Cover by Jay Reed, Flash Back Images by Jay Reed & Martheus Wade and Written by Shawn Pryor. This part gives you a look at T and the aspects of the game and how they affect him. This comic needed more focus it is just about T and his life going downhill. Where will it go from here? That is the question.